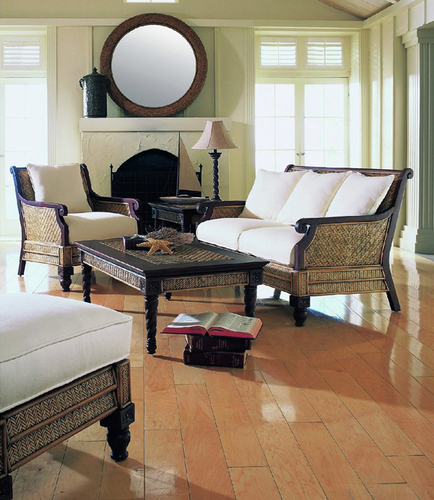 Our Tropical colonial-inspired Trinidad Arm Chair is a favorite of our customers. Rich mahogany wood is coupled with our herringbone weave rattan peel to create a unique, romantic feel. Hand-carved finials and floral details add elegant touches that make this piece absolutely distinctive. Cushion and pillow is included in base white fabric. Dimensions: 29"W x 34.25"D x 34"H, Seat height: 19", Arm height: 23.5", Seat depth: 24", Seat width: 23"
Eligible for return or exchange with 15% restocking fee. Please view our return policy for more information. Ships via freight.